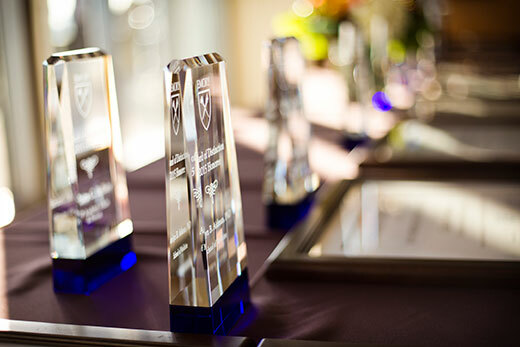 Twelve employees have been honored with the 2015 Emory University Award of Distinction. Honorees were recognized at a dinner on March 24 with President James Wagner and received a $1,000 award. Each year, the award recognizes members of the Emory community who have demonstrated exceptional dedication to their jobs. As associate director of the Urban Health Initiative (UHI), Aidman has helped make Emory a place where students, faculty and community scholars work together to confront challenging human conditions. Supported by a series of prestigious grants, her work has contributed to cross-cultural understanding and has brought Emory national recognition. She is responsible for securing Affordable Care Act Navigator funds to support the Resource Insurance Navigator Group (RING), utilizing more than 150 Emory students collectively speaking 20+ languages to help Grady consumers enroll in health insurance. Aidman also works with students and faculty to address social determinants of health, particularly lack of transportation, as it contributes to poor nutrition and creates barriers to proper health care. She initiated two innovative transportation projects: the Labor Limo and the Community Supplemental Transportation Initiative (CTSI). The Labor Limo gives women in healthy labor an alternative to calling for costly ambulances. CTSI is a collaboration among UHI and its cadre of future health professionals, faculty and staff from the Rollins School of Public Health, the Schools of Medicine and Nursing, and community partners. Utilizing buses from a local church, CTSI provides low-cost transportation to Section 8 apartment complex residents, taking them to grocery stores, laundromats, children's schools, and medical/dental facilities. As a business analyst III with Student Information Systems, Ballisty supports many of the systems that involve the personal data of Emory's students. Through her hard work, dedication, and initiative, Emory's student data is much more secure, new applications have been developed, and technological advancements have been made. She recently worked with Student Health Services to develop a pilot program to increase incoming student compliance of immunization record submission. As a result, compliance rates have increased from 18 percent to 46 percent, a major achievement for student health. Ballisty was also instrumental in developing the new mobile version of OPUS. Mobile applications are vital to represent Emory University to students as technologically progressive which plays a key role in attracting the best and brightest students. Ballisty has also worked to strengthen security within OPUS these past few years. With the proliferation of computer hacking, the Student Information Systems Team is reviewing and updating all security. Ballisty has led the team and the campus to implement more restrictive guidelines around the "need to know" key sensitive information. She has also worked on a project to greatly decrease the number of LDAP accounts created for students which has been instrumental in protecting Emory's systems. Bregman has proven herself to be a catalyst for positive change, an inspiring leader, and an innovator in her role as senior director of Alumni Career Services. She combines her unique background in law, career services and alumni relations to successfully lead alumni career services for the Emory Alumni Association (EAA), each year initiating new programs that have earned Emory a leading reputation nationwide. She has chaired the national Alumni Career Services Consortium, organizing their annual conference; she initiated and facilitated regular gatherings of career service providers across the university, creating a model of collaboration and service delivery; and she manages the Emory Alumni Board Initiatives Committee, the Emory Alumni Consulting Group, and the Emory Alumni Creative, demonstrating her ability to develop deep and meaningful relationships with alumni while guiding them into successful leadership roles. She initiated the Career Coach Chat program, a successful online webinar series that engages alumni and experts on a variety of professional development and career advancement topics. She has also held leadership roles with Emory's Center for Women, the Emory Law School Tuition Assistance Program, the DAR Committee on Community and Diversity, and the EAA staff project at the Atlanta Community Food Bank. Hammond serves as the director of business and finance for Yerkes National Primate Research Center, and over the years, has given her time on numerous committees and initiatives: the Tuition/Cost Sharing Committee, the President's Commission on Race and Ethnicity, and the Project Compass IDP group, attending over 63 sessions, to ensure that the needs of the user community would be met. She also served as Data Warehouse Business Intelligence Reporting Steward, served as a member of the Transportation Review Committee and was on the search/interview committee for the ECAS Director of Financial Services position. Hammond has been instrumental in the development of the Animal Research Management System at Yerkes. While billing and cost recovery are key aspects of this system, her contributions have gone beyond that scope as she has worked with the Information Technology team to build reports to extract data for areas such as Veterinary Medicine, Animal Records, Pathology, and Business and Finance. 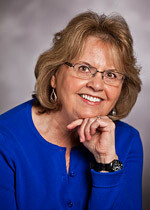 She has played an integral role in the development of financial reports now used effectively across campus. At Yerkes, she established two outreach activities: she meets monthly with administrative employees from each division and she has established regular meetings with the Yerkes/SOM Veterinary Residents. 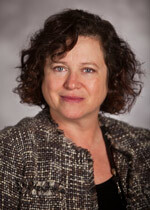 In her role as the director of programs for the School of Medicine's Department of Pediatrics, Heilman has developed initiatives and tools to strengthen faculty professional research, prepared and engaged scholars, and developed a research community with a focus on diversity and sustainability, and an emphasis on neuroscience and child health. She oversees seven pediatric research cores which have greatly facilitated the recruiting of many outstanding scientists. She has formulated approaches and standard operating procedures for the cores, leading teams towards effective project tracking and process management. She has become the point person for all investigators in child health research for grants assistance and other career guidance. She directs a pilot program supporting productive grants to build pediatric research collaborations at Emory, Children's Healthcare of Atlanta, Georgia Tech, and Morehouse School of Medicine. She created the publication "Bringing in the Research Dollars" (BIRD) which highlights relevant pediatric-related funding announcements, matching investigators with appropriate funding opportunities across multiple departments, schools and institutes. She co-founded a junior faculty development program, K-Club, designed to educate early stage investigators on strategic and administrative aspects of applying for career development grants. 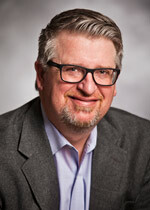 Heilman also sits on leadership groups for pediatric research including the Pediatric Research Operations Council and Research Advisory Council. As a police officer assigned to crime suppression and community relations, Johnson's recent police work has led to the arrest of an individual caught stealing bikes at Emory and the apprehension of a laptop thief, ending a three-month long series of thefts on campus. 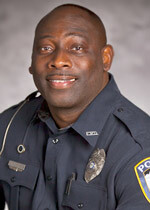 But in addition to police work, Johnson exemplifies the mission of Emory through his service to the community. His efforts in the field of teen driver safety have had a direct impact. He has partnered with other agencies to conduct "Ghost Out" programs for local high school students. With a goal to reduce or eliminate deaths and serious injuries from automobile accidents, the program teaches teens the medical and legal consequences of making poor decisions when behind the wheel. His involvement with Georgia Teens Ride with P.R.I.D.E. (Parents Reducing Injuries and Driver Error) has familiarized both parents and their new teen drivers with driver safety and the requirements of supervised driving required by Georgia law. He has conducted hundreds of P.R.I.D.E. programs. He is a founding member of the Safe Communities in DeKalb Coalition and works with the coalition as a child passenger seat technician. He encouraged other officers to attain the certification, and together, they have provided successful child passenger safety events on Emory's campus. Johnson also manages the Police Cadet program and serves on the University's Disability Access Committee. Korski has been instrumental in bringing both innovative programming and technological advances to Emory College's Office of International and Summer Programs. As the senior associate director of summer programs, her vision has resulted in the creation of programs that both highlight Emory's unique strengths and create wonderful opportunities for students. The programs she has developed have increased visibility for the College and resulted in the recruitment of highly motivated students. These programs include: Maymester, MD-SEE, and Emory Pre-College which engages high school students in courses that are innovative and deeply enriching. She has worked with several national foundations to bring disadvantaged high school students to the Pre-College Program which has resulted in their applications to Emory College. She partnered with local community groups, such as Graduation Generation, to bring in students from Atlanta Public Schools, and she has increased outreach to international students which has resulted in increased numbers of international students attending. 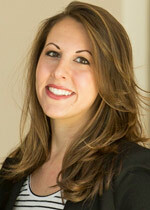 Korski's efforts were recognized by the Office of Admissions which awarded her with a Staff Partner Appreciation Award. She has also overseen an effort to implement a significant technological initiative in the office, the addition of a new online application for Pre-College and international applicants to Emory Summer School. Parisi works for Library and Information Technology Services as the Coursera instructional designer for faculty services. She has led the instructional design and development of five Massive Open Online Courses (MOOCs) with enrollments ranging from 5,000 learners to 50,000. After joining Emory in 2013, she immediately began her efforts to take Emory MOOCs to the next level. 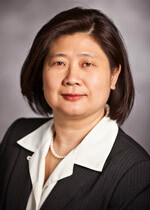 She focused on streamlining the MOOC production process to improve outcomes for the staff and faculty involved. After the development of the 2014 courses, each faculty member involved felt the experience changed the way they looked at teaching and learning. One example is the Understanding Violence MOOC where she translated a staid syllabus into an appealing digital document. Parisi has also led the efforts for data collection surrounding MOOCs, which has opened a window for learning more about this new global initiative and how it impacts learners around the world. Since her arrival, course completion rates have increased and are above the average percentage for MOOCs, and both signature track enrollments (paid enrollments) and course satisfaction have shown positive increases. She has tasked herself with finding a way to preserve the resources made for these courses so that they may be used beyond the original MOOC. Currently, she is working with the Scholarly Communications Office to provide MOOC videos in a library repository for eventual open access. As director of administrative technologies for Oxford College's Information Technology Division, Tepfer has been exceptional in identifying and unraveling problems by creating computer-based solutions that make work easier for the campus community. He seizes initiative to improve education, reducing data inefficiencies and inaccuracies, speeding workflows, and making crucial information easily accessible and usable to both campuses. The PlayOxford and PlayEmory systems are two examples of his creative, resourceful problem solving. Tepfer also exceeded expectations by partnering with the Emory Registrar to automate course schedules into OPUS. This project not only vastly improved Oxford College registration but that of Emory College as well. He regularly meets with campus leaders to brainstorm methods of streamlining workflow. With the retirement of the director of academic technologies, many faculty members turned to Tepfer to teach technology sessions in their classrooms. Without hesitation, he stepped up to fill the void. Deeply vested in Oxford's mission and Emory's vision, Tepfer continually spots opportunities for improvement and champions these visions to reality. He delights in inventing ways to serve the faculty and staff, easing their lives and making education by the college more effective. 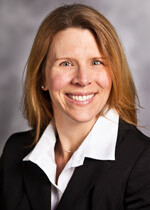 Tingle serves as the senior human resources manager for Emory College. His job responsibilities are varied, ranging from managing the personnel budget and assisting staff with complex personnel-related matters, to mentoring supervisors on how to effectively manage staff. One of his greatest strengths is his ability to understand and appreciate various perspectives on a situation. 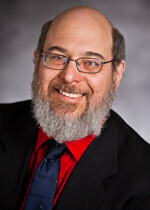 He recently applied this strength to the problem of streamlining the college's faculty merit recommendation system. He effectively pulled together the College's IT personnel, faculty and senior leadership to develop and design an online database-driven tool that would allow department chairs to make faculty merit recommendations in a secure environment. The newly designed system also feeds directly into the College's faculty database and serves as the basis for the department faculty budgets. Tingle served as the architect of the entire process. The new system has had a significant effect on the College. Before the tool was developed, the process was completely paper-based and required mass deliveries back and forth between the College administration and the department chairs. With approximately 525 regular faculty divided among 50 departments, programs and institutes, Tingle's work has saved hours of double entry on the back end of the merit process and provided significant convenience and ease-of-use for the chairs. 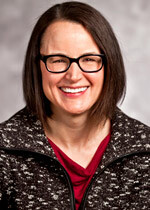 Wheeler works for the School of Law as an associate director and associate editor at the Center for the Study of Law and Religion. Her work is focused on the university's guiding themes of "Creating Community, Engaging Society," and "Confronting the Human Condition and Human Experience." She runs the operations of a half dozen major law and religion research projects and supports four different courses taught to 300 law students each year. She manages an annual conference and several public forums, and serves as associate editor of three book series, which yield five to ten volumes per year. In addition, she supervises several student assistants, and manages the travel, lecture and writing schedules of several faculty members. She has served on many university committees: the Staff Concerns Committee (as chair), Emory's United Way Campaign Committee; and the Woodruff Library Task Force Committee. She also routinely volunteers at Emory's Wesley Woods Hospital Horticultural Therapy Program. 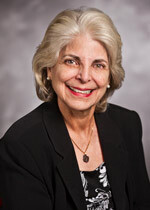 She served four years on the President's Commission on the Status of Women, where she helped develop several campus policies: a campus lactation facilities policy and policies that rectified gender disparities in salaries in the Health Sciences division and increased the representation of women in university leadership positions. As special assistant to the provost and director of Emory's Center for Women, Yarbrough's work has helped to advance the university in the areas of diversity, inclusion and gender equality. 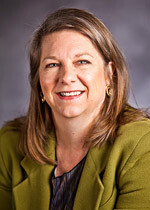 Under her leadership, the Center for Women developed the Public Voices Thought Leadership Fellowship, a collaboration between Emory University and The OpEd Project. She also published an op-ed in the Atlanta Journal Constitution on "Men Stopping Violence," exploring how individuals and institutions devalue women and contribute to a culture that supports sexism and violence. 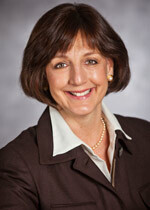 She has directed the research, development and implementation of Emory's Advisory Council for Community and Diversity. Each division within Emory is now undertaking multi-year self-assessments, exploring the role diversity plays in recruitment, communication and experiences for all constituencies of Emory University and Emory Healthcare. She has led efforts focused on faculty/senior administrative recruitment and retention strategies and diversity-related policies and practices. She was co-PI with Professor Leslie Harris of Emory's Arcus Foundation Grant supporting scholarship on black, lesbian, gay, bisexual and transgender communities. As part of this work, she coordinated "Whose Beloved Community? Black Civil and LGBT Rights," an international conference on campus in 2014. She also led an initiative to assess and locate lactation rooms across the campus, serving the needs of Emory's working mothers.